I had several envelopes like this delivered through my letter-box. Immediately recognisable, even before opening, I felt my heart (‘hairt’ in Scottish) beat much faster. I shall try and explain why. 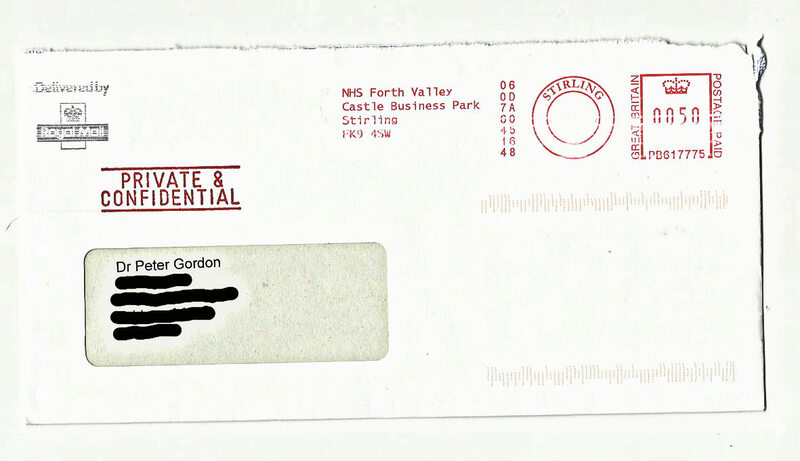 The envelopes from NHS Forth Valley to my home address were always from Senior Managers and nearly always officially reminded me of “Good Medical Practice” as issued by the General Medical Council. This was the Locum Consultant’s experience of the Medical Director, Dr Peter Murdoch. There was no action taken here. 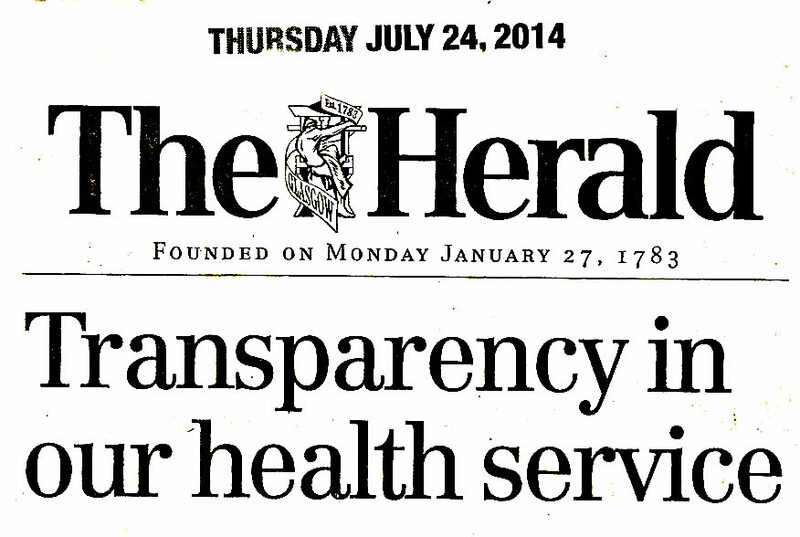 In my 13 years with NHS Forth Valley my ethical interests were in three broad areas. I share the view of most ethicists and many in academia that education and research should be free of marketing. Free of any distortion created by financial incentives. I have petitioned for a Sunshine Act (or clause) for Scotland. I believe that a central, open-access register would be straightforward and not at all costly to set up. My view is that we need to consider more fully the importance of consent. Any intervention, be it by a test, tool, or scale can lead to a treatment that has both the potential for benefit and harm.